One of the largest fights in the post-Phoebe era took place in HED-GP recently, escalating to the pinnacle of combat with titans and supercarriers on field. An experienced Eve player might be asking “how could someone be so clueless?”. The impact of the This is Eve video has been remarkable. The influx of new players into Eve has been unprecedented. 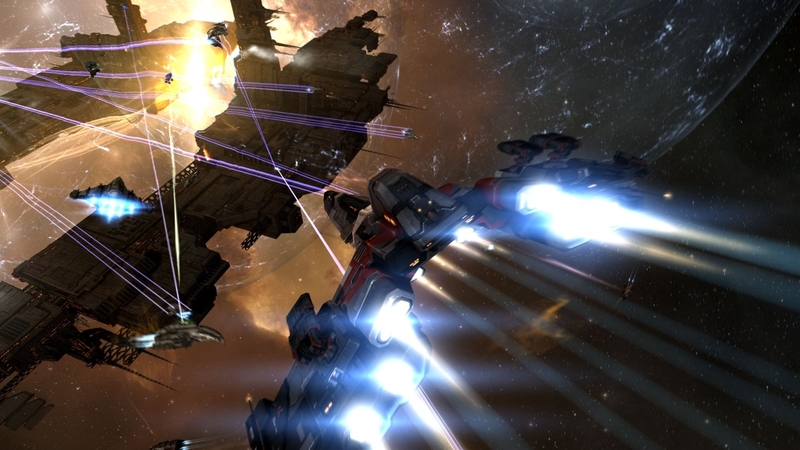 Since the video’s release on November 21, new players have surged into New Eden, and corporations that work with new pilots have been swamped with people yearning to climb into ships for pew pew. As a member of Brave Collective, I have seen first hand the scale of the influx. Over 2,000 new players have joined Brave since the video’s release with more joining Every day. TWO THOUSAND PLAYERS. And that’s just into Brave. TEST had a slower start but has gained several hundred members as well. Far more players are joining Eve and trying to find a home in New Eden than we have seen in years. Brave sent players into help chat rooms, flew into newbie systems, and Even made new alts to join the Rookie Help channels, explaining the complex systems of Eve. The appetite of new players to jump into spaceships and “primary the Dominix” was huge. With Brave, within the first few days, the cache of pre-fitted newbie ships in Brave Dojo was emptied. Brave Dojo is Brave’s training group. The market in GE-8JV, Brave’s home system was emptied of all frigates. Every single one. Emergency hauls in from high sec and rapid production runs in null were done in an attempt to keep the the newbies in ships for at least a short time before blowing them up. The Brave Dojo group has done amazing work to teach the new player the basics. There have literally been classes and discussions going non-stop since the video’s release. Over two weeks later, there are still constant classes going on in voice comms and in-game. Brave has been able to put these new pilots directly into the big fights they came for in amazing ways. Rather than having to wait on the sideline as high skill point doctrine fleets roll out on strategic ops, all are welcome. With literally a day of training these Brave Newbies are sitting in a Maulus. We can now bring 100+ Maulus EWAR fleets to accompany our main strike forces. If our blobbing wasn’t impressive before, now imagine facing 100 screaming, bloodthirsty newbies dampening you from the moment the fight starts, all eager to be on your killmail in ships that cost less than the ammo you’ll use to kill them. A few more weeks and they’ll be in cruisers, and they’ll have a taste of blood from their very first days in Eve. Many of the new players were able to get into the huge fights and get on titan killmails, in their first two weeks playing Eve. The majority of us didn’t see a titan for months or years after starting in Eve, let alone help kill one. Just as the Battle of Asakai lead to the formation of Brave Newbies, the This is Eve video is leading to another wave of pilots tied to this Event as the specific entry point into the universe of New Eden. Dunk Dinkle > I’m writing an article about the influx of new pilots after the This is Eve video. Is Eve what you expected after watching the video, now that you’ve played? Serafina Morantor > The video mainly shows PvP, while hinting at other activities (mining, industry etc.). From what i can say after these few days, PvP is pretty much what i expected: Incredibly energetic and thus quite fun, Even in smaller engagements. Dunk Dinkle > Have you tried other things besides PvP? Serafina Morantor > Yes actually, I am mostly doing missions in lowsec and keep a jump clone at GE- when i want to do PvP – due to the steep cliff i mentioned. Serafina Morantor > But Even with that i am still very grateful, for the Dojo and the PvP training fleets. Dunk Dinkle > Thanks. Any advice you’d give to a new player, based on your experience? Serafina Morantor > Yes. 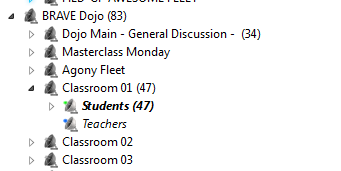 Definitely finish the tutorials, and don’t be ashamed to go back to lowsec for a bit – but join any Dojo-fleet you are interested in, with a jump clone if you must! I reached out to CCP for comment on the influx of new players to Eve. They did not share numbers or other specifics. “We’re seeing a great amount of old and new players inspired to take another look at Eve and we hope the recent changes and those coming in Rhea convince them to stay. Putting a direct number on total subscriber/trial amounts now would require a lot of knocking on wood, but sufficed to say it’s making us happy space universe janitors. Instead, we’ve focused on supporting these new players as they are still testing the waters in Eve. Other groups are seeing similar influxes of new pilots. I reached out to other prominent Eve players to get their comments on what they were seeing in terms of new players and old players returning. “For me the This is Eve video is possibly the best Eve trailer to date in terms of what it demonstrates to the non- Eve players out there. It says to them that you too can come to this game and have those emotive, passionate, exciting experiences you find in other MMOs. The influx of players that has come in looking for these experiences haven’t been let down. The community has been there for them in Every possible way particularly in saying to them “you can have these experiences from day one”. From the NPSI groups all running newbro focused roams – and displaying a ton of patience – to groups like BNI, E-UNI, RvB, each of whom are to an extent newbro friendly, have really ramped up their activities and really pushed the welcome waggon out. Grabbing the attention of hundreds of newbies and potentially helping turn them into subscribers. “I am seeing an influx of new players that want to join Eve to become involved in the social aspect of playing Eve. They are looking for fleets and they are looking for other people to fly with. Normally, when I hang out in rookie chat it is filled with people who are looking to try out Eve because they have heard about it and are interested in spaceship games. There are questions about changing to first person cockpit views and a search for more fighter pilot style combat. The influx of players that I have seen since the ‘This is Eve’ video are looking for something closer to Eve’s gameplay. There have been few tears about losing ships in rookie chat. They know that people are going to lose ships. They watched it happen on the video and this has prepared them a bit for what may happen. They are coming in willing to play and the veteran players are out in spades to help them. I have seen a vet creep of well behaved players into rookie chat on main accounts to help. I have seen chatrooms appear. I have seen corporation recruitment standards loosened. I have seen people almost fighting to adopt new players and asking for more. They are being taken out on roams. They are being given the grand tour of what Eve can give them. I have seen an amazing community stand up to a challenge of sharing their game. It’s been a fantastic experience. The real question is “Will they stay?”, or more accurately, “Will they pay?”. This is a difficult question for anyone to answer with surety. The red carpet has been laid out and thousands have strolled down it. New pilots have been given the most positive welcome by community I could imagine. Serious efforts have been undertaken by multiple groups to help them learn the basics, get started, and feel involved in the bigger picture. In the case of Brave, new pilots have been involved in large scale battles and Even titan kills in their first two weeks. Reddit is full of positive newbie and veteran experiences upon (re)joining the game. From the engagement I and many others have seen, it’s looks many are finding a home in Eve Online and will not leave when their trial period is up. All the signs are good for a high percentage of this new influx to make the plunge and enter a credit card. Only time will tell. What are you seeing in your part of New Eden?